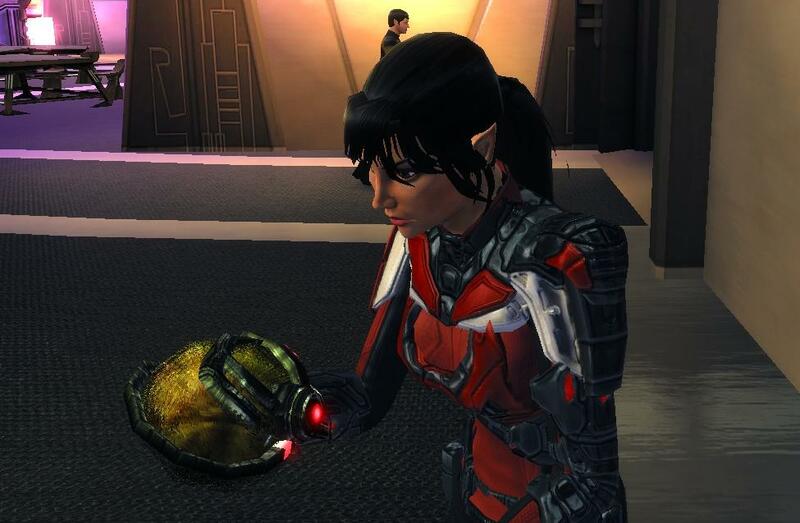 …Or it’s my new Assimilated Tribble! "Aww, aren't you adorable? I think I'll call you Blinky." If you participated in the Tribble Weekend Event on the Star Trek Online test server last week, remember to check the C-store for your free Assimilated Tribble and your special in-game title. Tru dat, AH. I did log on Sunday morning, though only as a LC 7, so no advance content. But now I have my Tribble, it a little odd. I would think the Borg would feel the same regarding Tribbles that the Klingons do, a pest at best; at worst a menace. Of course the whole Tribble thing in STO is mostly for fun anyway.